Caudiciform tree. 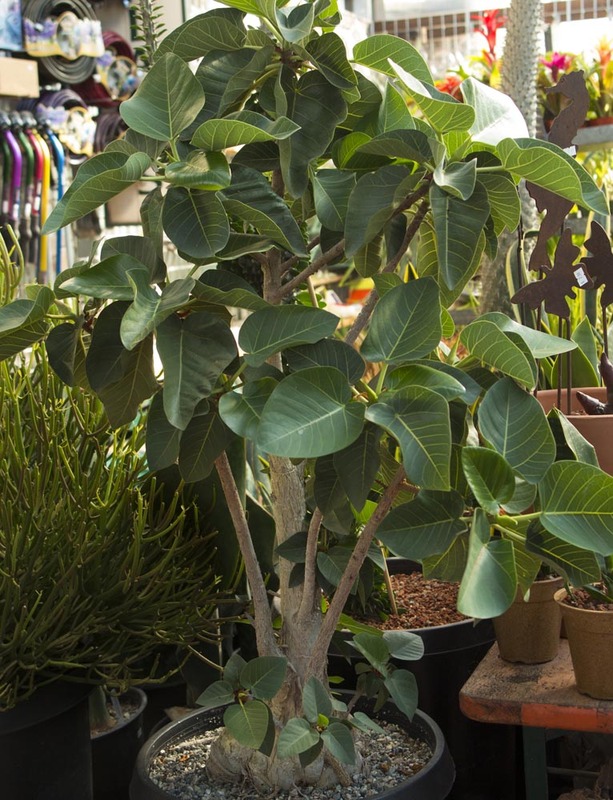 Unique tree that develops a swollen base when young and a white trunk with papery bark. Lives on rocky cliff faces and makes a beautiful bonsai specimen. Drought deciduous. 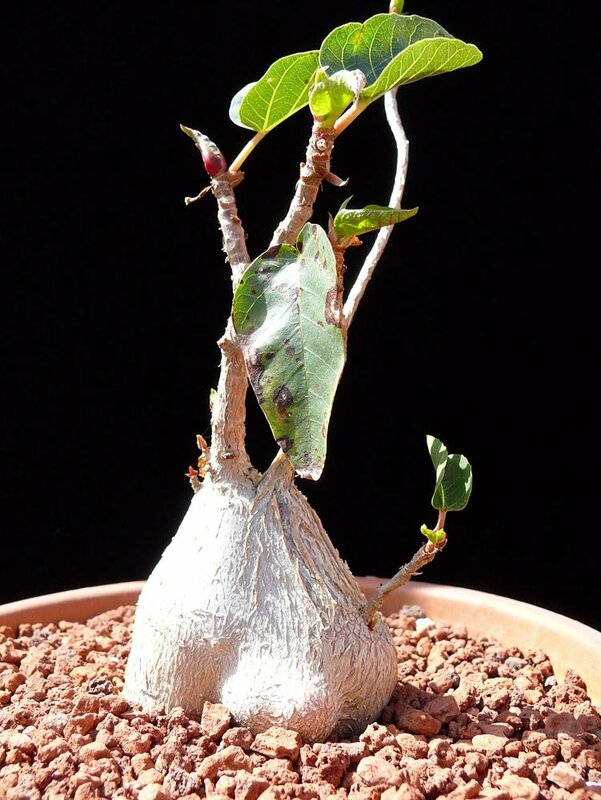 Very slow growing to form a large caudex first and then trunk height later.